Although we think of promotional umbrellas as a modern luxury, forms of parasols (or sun umbrellas) existed as far back as Ancient Egypt. While popular in this capacity, it wasn't until 11th century China that leather umbrellas were developed with the ability to shield against both the sun and the rain. Despite their popularity in the East, it took many hundreds of years before Europe caught on to the idea of using an umbrella customised against the elements. The modern all-weather umbrella began its popularity in European markets during the late 1700’s. Initially considered a product perfect for shielding wealthy women from extreme sun and rain, by the 1800’s European men began appreciating their practicality when compared to relying on their hats and coats. However, it wasn’t until the early 20th century that the umbrella became the compact and practical consumer product we know today. Hans Haupt is commonly considered to be the father of modern umbrella design. He built and patented a compact, telescoping umbrella perfect for carrying around during the day. Later designers such as the one by Bradford E. Phillips would continue to develop this idea and umbrellas have become increasingly straightforward and portable over time. 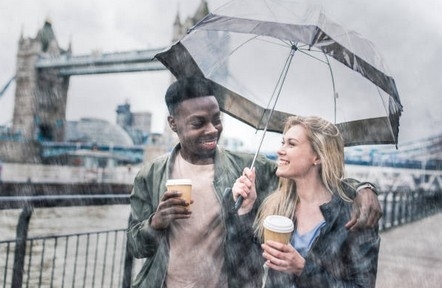 Now, in the 21st-century umbrellas are some of the most popular branded consumer products available because they are regularly used and show your brand off to hundreds of passersby whenever they're in use. Given that umbrellas have existed for thousands of years, why on Earth are they still so popular among modern consumers? Because umbrellas are practical, long-lasting products that most people need to use at some point in their lives. Consumers need to shield themselves from weather extremities, regardless of where they are in the world. Umbrellas are long-use items, with users only discarding them when they no longer work (which is generally after many years). They're investments for many, items that are long-lasting and also capable of being extremely personal. Umbrellas are items perfectly constructed to display clear printing on their large exterior panels. This gives custom branded umbrellas an incredibly wide reach, which businesses and designers can utilise. Consumers also place a lot of value in a well-designed umbrella, which allows for the savvy corporate to produce valued custom items while still adhering to a budget. 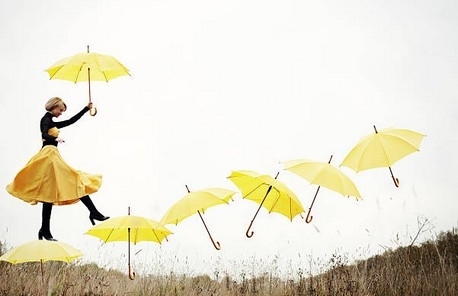 It's difficult to predict where future umbrella innovations will lead us regarding design and customising potential. What we can be sure of, however, is that demand for umbrellas will continue unabated. The industry will continue to refine umbrellas for even greater usability and brandability.